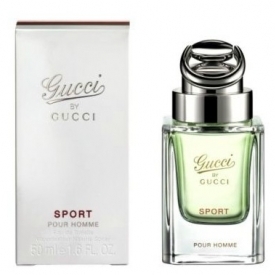 Its sporty character is underscored by the fragrance’s light body and its citrus tones. The scent's resolute freshness is created by a blend of citrus and aromatic notes. Specifically, the juicy tartness of grapefruit is played off the aromatic, camphor quality of cardamon. Sun-drenched Corscian fig nectar adds an interesting contrast of green fruitiness to the mix. Depth is achieved with the addition of rich and woody Patchouli, a signature Gucci ingredient. For a sport fragrance it just doesn't impress. 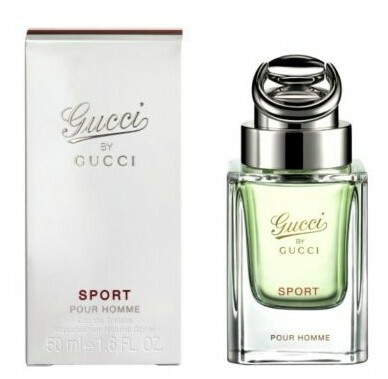 Givaudan created Gucci by Gucci pour Homme but this one isn't as good. It's another Acqua di Giò pour Homme: nice to smell but it just doesn't have the projection or longevity to make it. It does fit the active person image and I can see it working straight from the gym. Pleaseant but not good enough at this price.